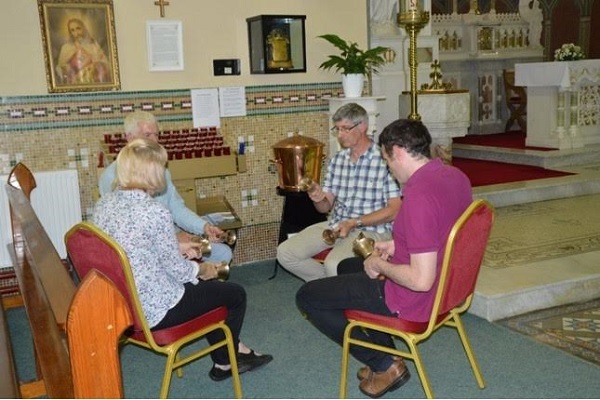 UPDATE Fri. 3rd August:- SEAN KEANE CONCERT CANCELLED. 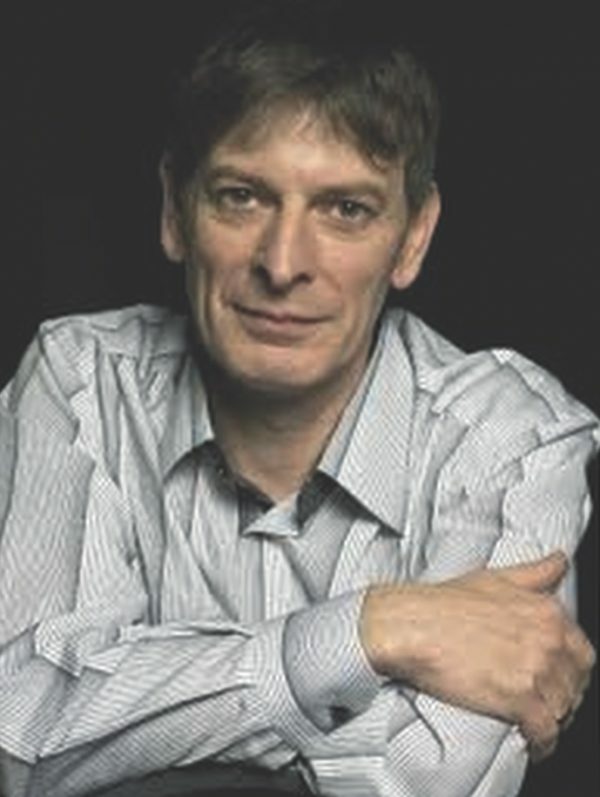 Unfortunately due to voice concerns Sean Keane has had to cancel the concert in Borrisoleigh on Saturday 4th August. 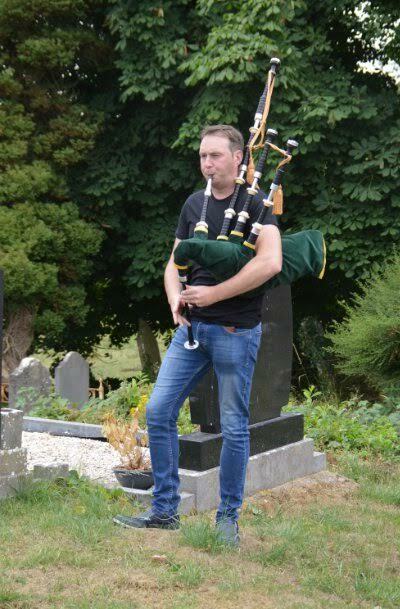 Borrisoleigh is in for a treat this Bank Holiday Saturday August 4th when singer and musician Sean Keane takes to the stage of the Marion Hall. Known for his distinctive sean-nós-style voice, Seán Keane from County Galway is decribed as the `greatest musical find of the 90`s` by `The London Independent`. Traditional Irish, folk and even country and blues songs all lend themselves to his unique style and unforgettable voice. The concert begins at 8pm with proceeds going to Suirhaven Cancer Support Centre. 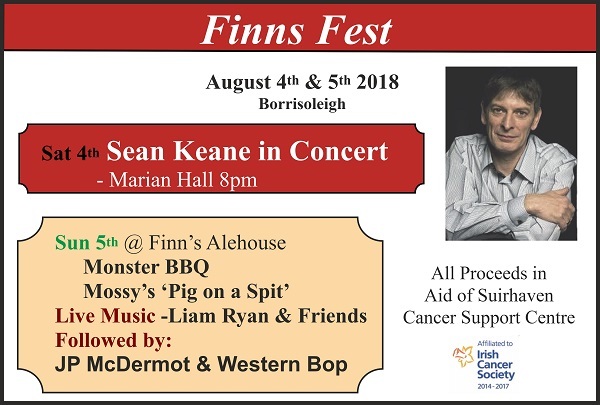 Sunday 5th of August sees the fundraising Finn’s Fest weekend continue with live music in Finn’s Bar with Liam Ryan and Friends followed by JP McDermot & Western Bop. 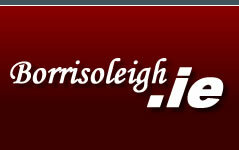 There will be a monster BBQ with Mossy’s ‘Pig on a Spit’. Suir Haven, Thurles Cancer Support Centre (funded by North Tipperary Hospice “ In Home Care” Movement) is located in Clongour Rd., Thurles. This drop in centre is community based and everyone is welcome whether you are a person living with cancer or affected by it including family, carers and friends. 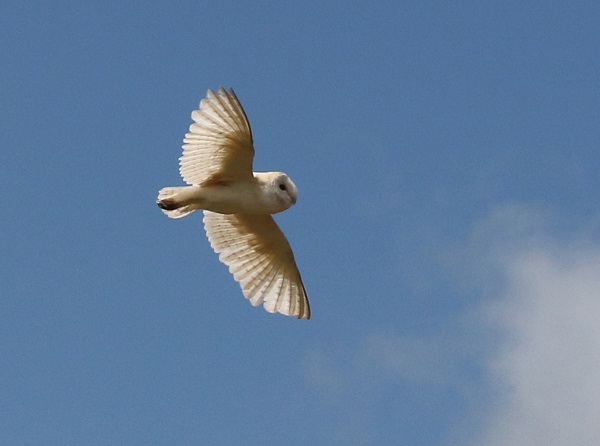 The centre offers emotional support, practical help and information in a safe, positive and confidential environment. 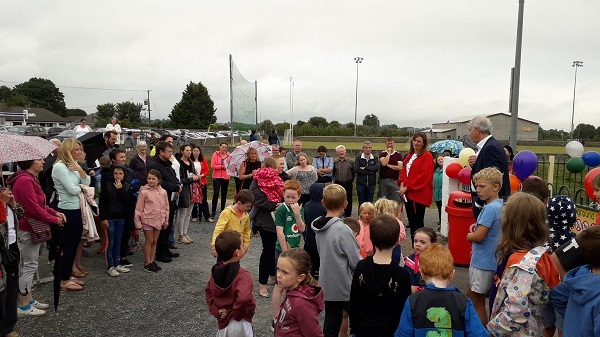 A great evening was had by all at the official opening of Borrisoleigh Playground on Friday last. 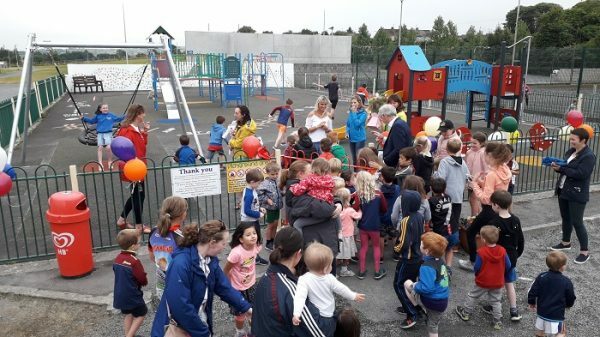 The playground, originally founded by Vera Hogan, John Walsh and Rory O Connell in 2004, has recently received a much needed refurbishment with the addition of a new wet pour surface and 5 new play units, including a new fully inclusive roundabout, the first of its kind to be opened in Ireland. Sponsors and supporters of the playground. Standing Cllr Micheal Lowry, P.J. Delaney Borrisoleigh Cycling Club, Dr. Kevin Delargy, John Cummins Engineering Services Ltd, Fr Hennessy, Michael Lowry TD, Declan Glynn President of Templemore Lions Club, Cllr Eddie Morrissey, Martin Costello Tipperary Co Op Creamery and Rory O Connell Borrisoleigh Cycling Club. Seated Betty Kennedy, Laura Ryan Playground Committee and Brenda Ryan of Ryan’s Camden Street. 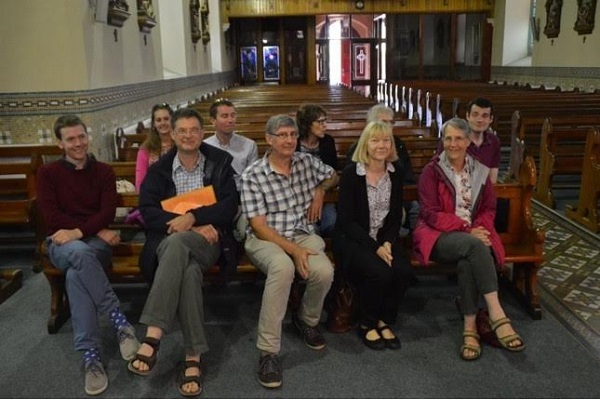 The most recent committee was established in 2015 and involved Janice Farrell, Kate Bourke, Evelyn McGrath, Marie Maher, Laura Ryan and Patrice Cooney. 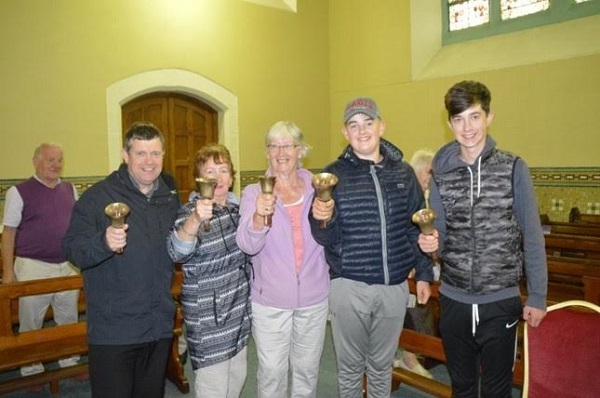 The opening ribbon was cut by Michael Lowry TD , who was an outstanding support to the Committee throughout the process and even starred as “Fr Michael” in the fundraising event, “Tie the Knot or Not”. 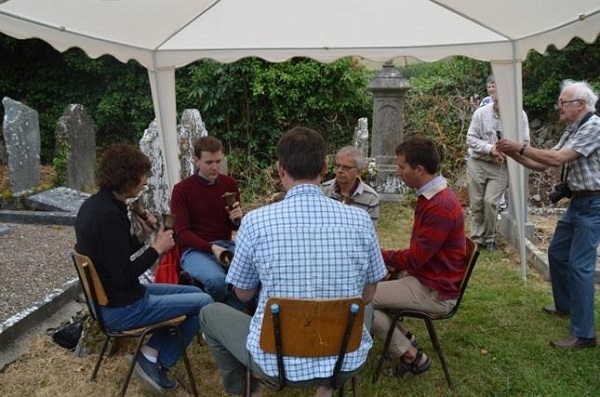 The playground was then blessed by Fr Hennessy and was well and truly put through its paces by the local children. 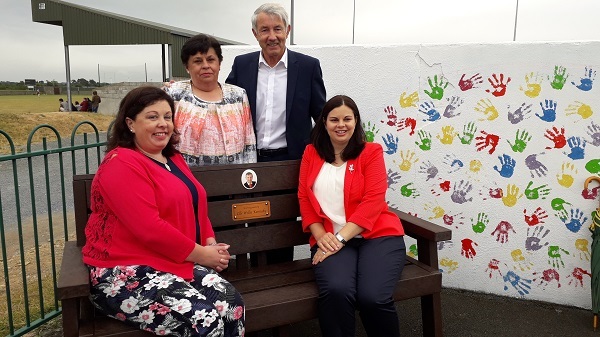 On the night the Kennedy family were guests of honour with a bench in memory of the late Cllr Willie Kennedy being donated by his friend and colleague Michael Lowry TD. Willie was initially involved with the Committee but tragically passed away before its completion. Kennedy Family with Michael Lowry. Betty, Michael standing and Elizabeth and Mairead seated. 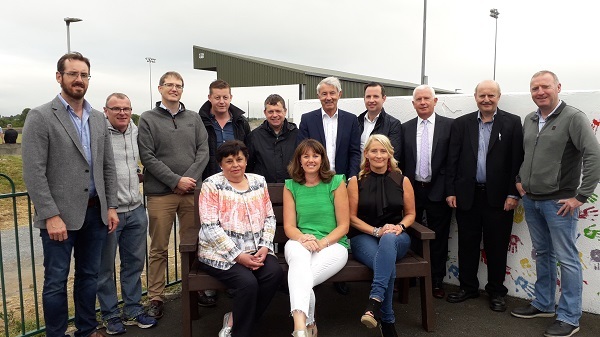 The playground Committee would like to say a sincere thank you to all who made the playground possible. 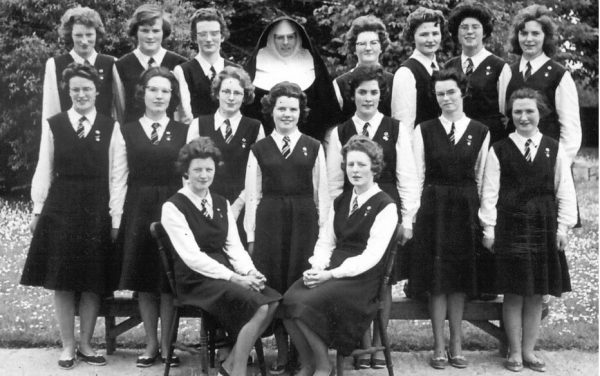 To Rory O Connell, P.J. Delaney and the Borrisoleigh Cycling Club who hosted our first fundraising event, an 80 km and 40 Km cycle, we say thank you. To Paula Stapleton and Paul Boyle who wrote and directed the hilarious mock wedding of Donald and Hilary, we say a huge well done. To the whole cast and those who worked behind the scene, to Silver Dollar , DJ Lorcan , Jane’s Flowers and to Rose Young in The Ragg, we say it was a night to remember and wouldn’t have been such a success without your support. To our local and surrounding communities who were so supportive and generous attending these events, we are so grateful. We would also like to thank Brenda Ryan of Ryan’s Camden Street, David O Connell Pharmacy, Dr Kevin Delargy, Michael Lowry TD, the Parish of Borrisoleigh and Ileigh, parents and staff of First Steps Montessori, Templemore Lions Club, John Cummins Engineering Services Ltd, Tipperary Co-op Creamery, Michael Hogan painter and decorator and M & E supplies Dublin for their private donations and time. Their support was invaluable. This private funding enabled the Committee to secure a Leader Grant for the remainder of the costs of the playground and open its gates. We would like to thank Leader for their funding which allows communities like ours to improve their facilities and amenities. 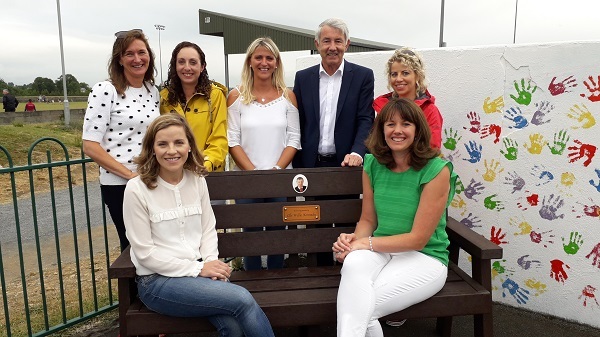 The playground committee would like to applaud everybody involved in this community project and acknowledge that it would not have happened without you all. We wish all children a safe and happy experience in the playground. A big “thank you” everyone who contributed to making this event such a memorable and outstanding success. Some local talent in action. The following poem was sent in by Josephine Ryan of Currabaha who was given a poem by her aunt Tess Constantin née Ryan (Rody), Currabaha. Tess has had it for many years and doesn’t know who gave it to her. If any readers know who the author is we’d be delighted to hear.